The history of the W1 can be traced back to 1960 and the early K1, a motorcycle developed by the Japanese motorcycle meguro. Meguro had first started producing motorcycles back in 1909 and had modeled the K1 on the English BSA A7 as a replacement for their single cylinder Meguro Z7. 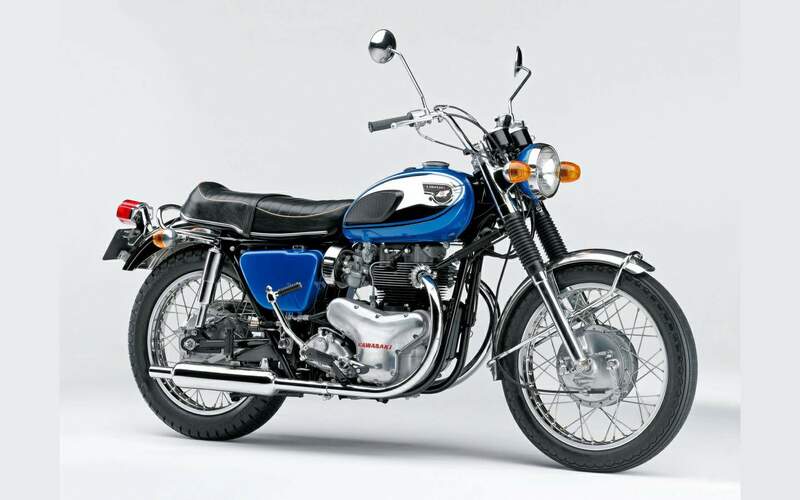 It was early days, and most Japanese motorcycle manufacturers at the time were basically building bikes copied from American and European models, particularly in the large displacement categories. For its day, the K1 was an advanced design and showcased modern-day manufacturing techniques with its Air-Cooled , 4-stroke, Twin OHV 496cc engine mounted in a double-cradle frame. In 1960, Meguro Works entered into a business relationship with Kawasaki Aircraft Co.,Ltd., leading to a full merger in 1963. Therefore, although the K1 was developed and produced by Meguro, selling it was left to Kawasaki Motor Sales Co., the forerunner of Kawasaki Motorcycle Co.,Ltd. At the time, the Kawasaki engineers were so deeply engaged in the development of a 4-stroke engine for small cars that they had no time to develop anew motorcycle engine. But by the end of 1962 the four-wheel project had ended and some of these car engineers transferred to Meguro and tool over the project. There were two projects that the developers had to tackle: the SG(a single-cylinder 250cc OHV) and the K1. However, both the K1 and K2still shared the basic weak points of the BSA A7. The K2 was exported to the US for a test in response to the expanding American market for 4-stroke motorcycles. Unfortunately, it was rejected for a lack of power. BSA A7 was used unchanged. The frame building technology that Kawasaki inherited from Meguro was the quite advanced for its time, and most f the models following the K1 adopted tube frames because they were comparatively easy to make. Even though Kawasaki had developed a 4 stroke engine much earlier, the K1,K2 and W1 were typical 4-stroke motorcycle models for their day and were, so to speak, textbook models reflecting the then-current design and production technologies. The W series entry into the US market was rather unsuccessful because it was too similar to the K models in basic structure and lacked a feeling or impression of being "new". 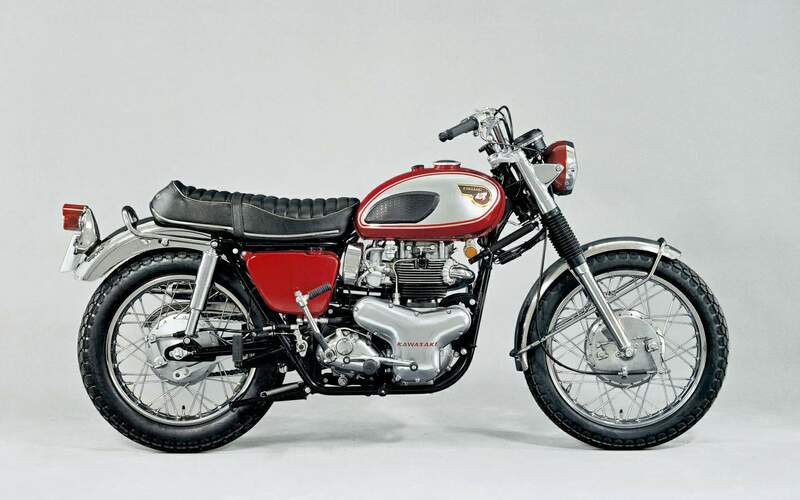 The W models also mimicked too much the look of the BSA A7 for an American tastes, even though internally the engine was much improved from the BSA. W1 Kawasaki only sold 2-strokes on the US market, but with the debut of the W1 it joined Honda in becoming one of the first Japanese motorcycle manufacturers to produce 4-strokes. While Honda had produced only 4-strokes from the beginning, Kawasaki's entry into the US the market was based on predictions of increased sales for large displacement 4-strokes in the near future. 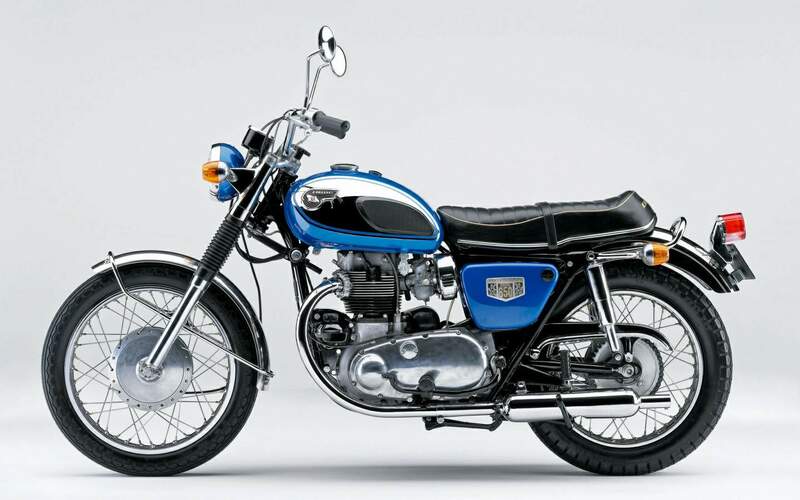 The 624cc engine of the W1 was one of the first large-displacement Japanese motorcycles. However, the way motorcycles were used in America was quite different than expected and the W1 was found "unsuitable" for the American market. On the other hand, in Japan it was well received and became famous for its unique OHV vertical twin sound and individual style.